I would love to hear from YOU! Head over to the FoodSmartie Forum and share your story. I'm so glad you stopped by to visit my site! beneficial on your own food journey. The purpose of this site is to help encourage and inspire others to reach their weight loss and maintenance goals! My passion is coaching people in diet and nutrition and using my story to show that seemingly impossible goals ARE attainable! 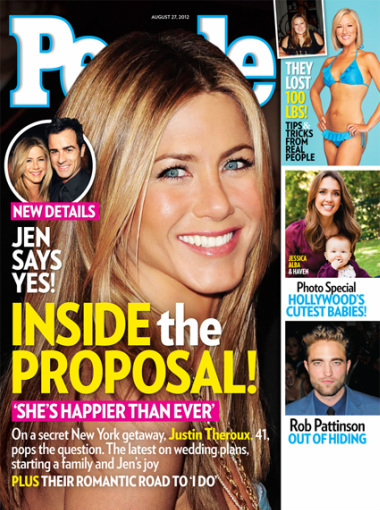 I made the cover of People Magazine! I hope you picked up a copy! I was featured in a spread and I also made the cover!! Content Copyright 2012. FoodSmartie.com. All rights reserved.